Industry veteran outlines MailPix success strategy. 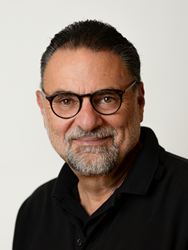 MailPix, the photo-printing, canvas and gifting site, announced Fred H. Lerner, founder and CEO, was featured on the Datacrushers website in its latest client interview series. Datacrushers is a leading provider of cart abandonment and other ecommerce optimization technologies. In the article, Lerner shared the path to MailPix success has been focusing on customer service and keeping current with industry trends: “My advice for e-commerce is to shop your competition. Understand what your competition is doing correctly. Understand the good, the bad, and the ugly of competitors. If you think you can do it faster, better, or cheaper than your competition, then you have a business model." He added MailPix is well-positioned for a successful fourth quarter. Having secured three acquisitions this year - MyPix2, Just4MyPet, and 1HourPhoto.com - he added MailPix is looking to grow in 2018 with continued emphasis on organic growth and on acquisitions.